The Colombo Club is one of the largest Italian social clubs active in the United States. Its origins go back to 1920’s Italian quarry (Rockridge) workers gathering to eat, drink and socialize. The present club was built in 1951 on Claremont Ave.. in the neighborhood I grew up in. I no longer live in this area but once a month I return to partake of the dinners hosted by the Colombo Club. At this dinner I reunite with my old cronies that I grew up with. At one time there were numerous Italian clubs in this area. 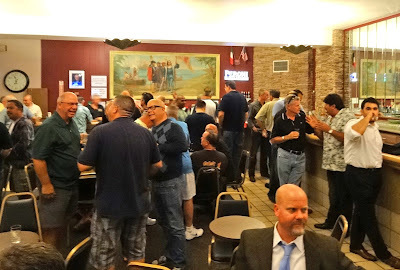 The Colombo Club has survived and thrived to be a popular destination. There still is a waiting list to become a member. To become a member one must have an Italian heritage in your background. I am a guest and become an honorary Italian at these dinners. It is traditional to start the evening at one of the several bars inside the hall. This is a time to reconnect and relax before the dinner to come. We tell the same old stories we have always told. Of course the tail may have grown and possibly embellished but we do not care. That is half the fun of storytelling. The noise level in the hall is quiet loud and boisterous. At 7;30 pm the dinner bell is rung. We all proceed to the basement dining hall. Once seated at the long dinner tables the conversation becomes challenging. The ceiling is low and there are several hundred men conversing to make the noise level very high. Regardless, we still tell stories until our voice becomes hoarse. 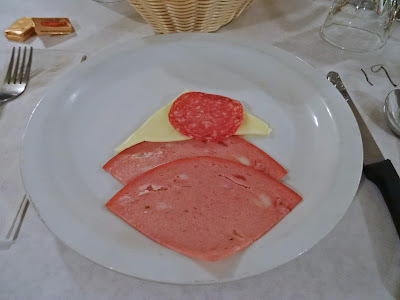 The dinner starts with anti-pasta of cheese, salami and mortadella. The meal is served family style in large serving bowls. A nice salad starts the first course. The pasta is next and tonight it was penne pasta bathed and coated in wonderful tomato gravy. This was filling and satisfying. 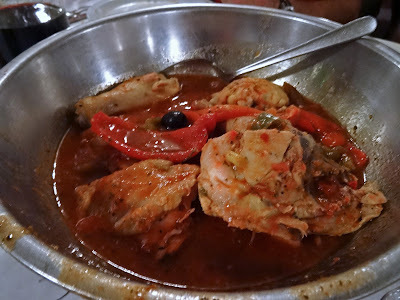 The main course was chicken cacciatore. You do not leave these dinners hungry because if you want more the servers will gladly bring you more. To finish the dinner ice cream, coffee and an optional shot of brandy is served. It is time to loosen the belt. I look forward to our monthly meetings. It is a great way to reconnect with old friends. We are all grown men and have taken different paths in life. This one evening we return to our youth with the added bonus of a great dinner. The Colombo Club is a wonderful tradition and I am privilieged to be able to participate. I've never heard of this but have been affiliated with similar community groups like this. Always good times. Chris, The Colombo Club is a well know institution here in the East Bay of the Bay Area. 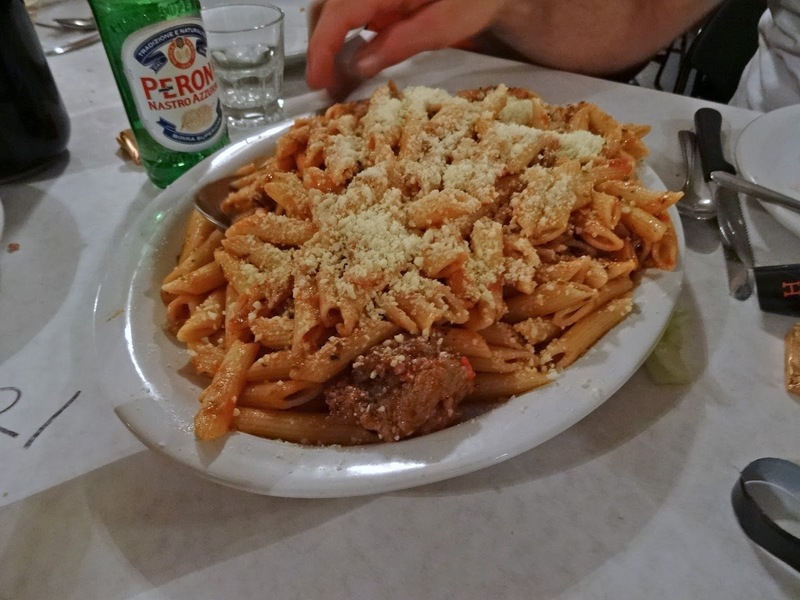 There are still a lot of smaller Italian Clubs in San Francisco and surrounding cities. Good times.